36 year old experienced Pakistani Batsman and former Captain Younis Khan is very upset with team selectors for not selecting him for series against Australia in UAE. Former Pakistani captain done a press conference on Friday morning in which he seemed really upset. He said I played just one match against Sri Lanka and then returned to country due to death of my nephew and now I am dropped. On what basis I am dropped just after one match asked Younis. he also offered to leave test side for not getting selected in ODI team for series against Australia. 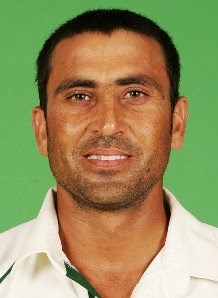 Younis also said that I won 2009 T20 World Cup for Pakistan and always supported other players in their tough time. he said PCB has always treated the great players badly such as Wasim Akram, Javed Miandad and Inzamam Ul haq. Younis Khan played 91 test matches and 254 ODI matches for Pakistan in his career and now it seems like PCB has decided to get rid of him permanently. not choosing him for series against Australia means he will also not be Included in squad for the World Cup.